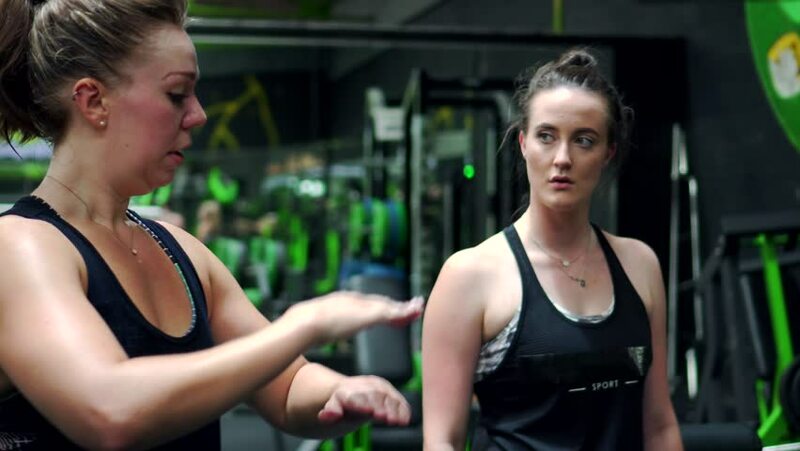 Female Personal Trainer, Fitness Instructor In Gym Explains Form To Client. A Variety Of 4K Camera Angles Available. 4k00:05Young Happy Women High Five In Gym, Fitness Goals Achievements 4K. A Variety Of 4K Camera Angles And Stories Available. 4k00:12Cinematic Deadlift By Young Woman With Barbell Free Weights In Gym, 4K. 4k00:14Male Personal Trainer Or Friend In Gym Explains Squat Form To Female. A Variety Of 4K Camera Angles Available. 4k00:08Male Personal Trainer Or Friend In Gym Explains Squat Form To Female Client. A Variety Of 4K Camera Angles Available. 4k00:09Fitness App Used In Gym On Mobile Phone By Man And Woman, 4K Goals. A Variety Of 4K Camera Angles And Stories Available.